The February 2019 issue of Northeast Ohio Parent is on newsstands, but the easiest way to check it out is by viewing our digital issue. This month, we cover teen driving, children’s resale, social skills in kids, and how screen time affects bedtime. Also, look for articles on helping your child become a better reader, overcoming panic attacks, and news from area schools. Don’t miss our monthly event calendar, which includes special family-friendly Valentine’s Day events, as well as ideas for a parents’ night out. 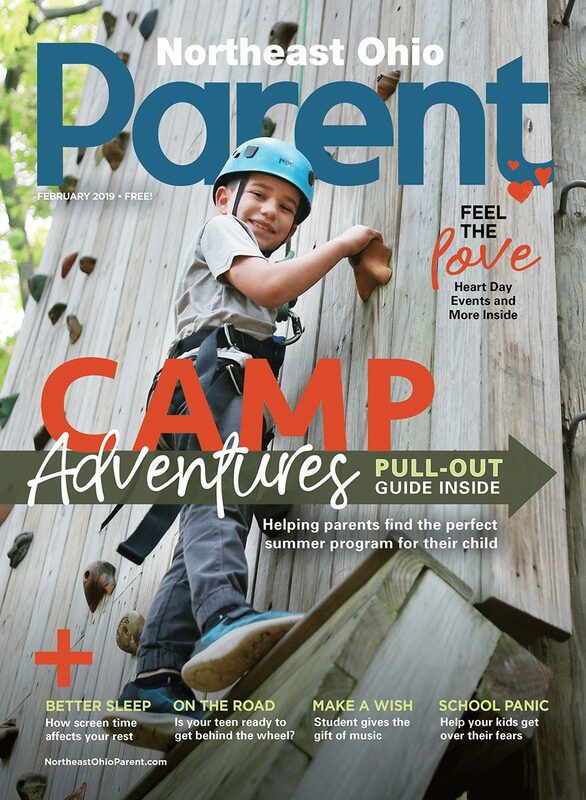 Included in the issue, our Summer Camp Guide is your go-to resource for finding everything needed to prepare for your kids’ summer adventures. Find camp listings, financial tips, a camp prep timeline and more. Click here to view the February 2019 digital issue! Previous article Should My Child Learn a Second Language?